Despite the defeat last Saturday against Swansea City at the Liberty Stadium, our defenders in general fared well in the man of the match vote and the player ratings with left-back Charlie Taylor winning both of them. It certainly wasn’t our best performance of the season although it was one in which we really should have earned ourselves a point with the home side rarely causing us any problems and so it is no surprise to see three of the back four win points from this game. Taylor was the clear winner in the man of the match vote. He polled over half of the vote with 52% and was then followed by the two central defenders with Ben Mee just beating Kevin Long with the pair winning 10% and 9% of the vote respectively. Jack Cork broke the defensive stronghold, coming fourth with 7% of the vote. It was the same top three in the player ratings. Again Taylor was the winner with a rating of 7.48 out of 10 but this time the central defenders switched with Long taking second place with a rating of 7.14 followed by Mee who was third with 6.90. Goalkeeper Nick Pope was in fourth place this time with a rating of 6.24 out of 10. 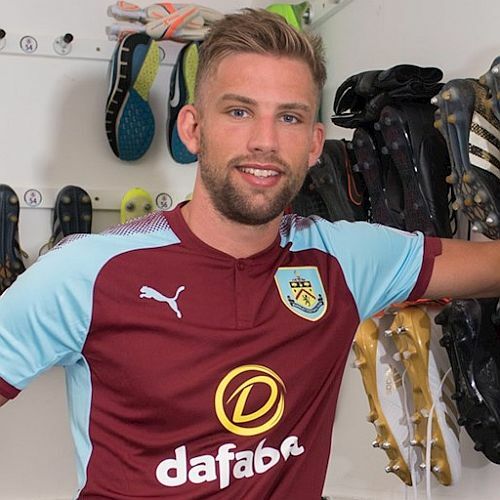 Taylor, therefore, has won the maximum ten points towards the Up the Clarets Player of the Year with both Long and Mee collecting five points; Cork and Pope won one point each. Those points have made a change at the top with last season’s player of the year Mee taking advantage of James Tarkowski’s injury to move ahead of him into second place, now just eight points behind Steven Defour who will inevitably lose top place at some stage having been ruled out for the remainder of the season. The next vote will be underway a week on Saturday after the Southampton game. The Swansea result is below, followed by the current player of the year table.